푸켓, 태국의 디 아티스트 하우스 파통 | 호스텔월드에서 예약하세요. The following group types are not accepted by this hostel: Junior / Primary School, High / Secondary School, Business Trip, Stag/Hen/Bachelor Party, Cultural Group If you have misrepresented the type of group you are booking for, your booking may be cancelled by the hostel." 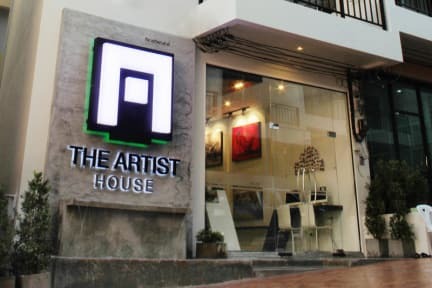 The Artist House is located on Prabaramee Road, Patong, Phuket. It is surround by many convenience stores and restaurants, where you can easy to get some delicious food. The Artist House has 14 rooms. Every room offers facilities such as free Wi-Fi, LCD TV and DVD player, drinking water and coffee, safety box and room service.